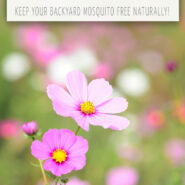 Home > Lifestyle > Gardening > The Ultimate Guide: 34 Plants That Repel Mosquitos Naturally! Don’t let bugs keep you from enjoying your backyard this summer! 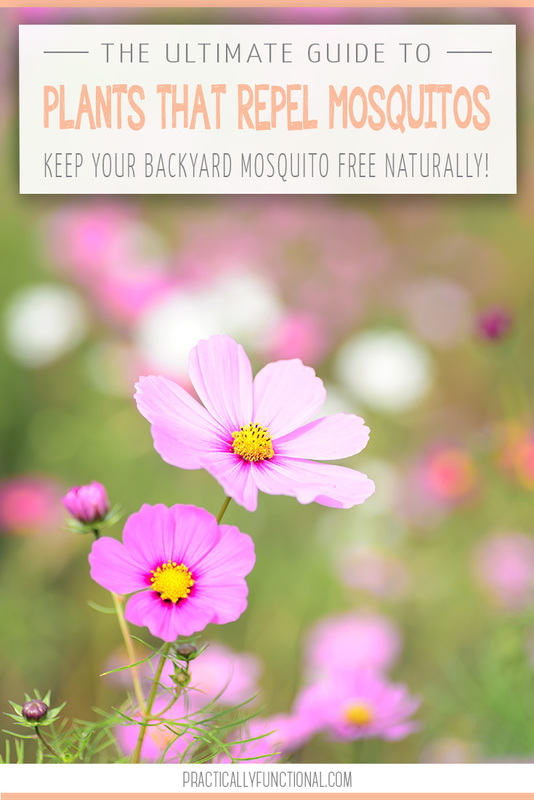 Did you know that there are plants that repel mosquitoes naturally? Are the bugs keeping you from enjoying your backyard this summer? Besides being a nuisance, mosquitos can also be a legitimate health concern with all the diseases they can carry. But covering yourself and your family in commercial mosquito repellents full of chemicals is not ideal either. So what can you do? It turns out there are plants that repel mosquitos naturally! That’s right; there are tons of plants that you plant in your garden or in containers around your yard to help keep the mosquitos at bay! 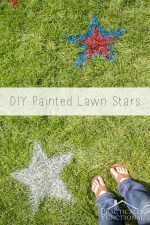 Be sure to pin this for next time you’re outside this summer! Mosquitos are attracted to people and animals because of certain odors from our skin, especially when we’re sweating. Many plants have strong aromas that we find pleasant, but mosquitos don’t like them. These plants can help mask those delicious body odors and keep the bugs from getting close enough to bite. When those scents are in the air around you, mosquitos will steer clear. And to make them even more effective, you can crush the leaves of the plants and rub them on your skin; crushing the leaves releases the essential oils in the plant. While all of these plants can be planted directly in the ground, many can also be planted in containers, making them the perfect mosquito repellents for your patio, porch, or deck! These easy-to-grow annuals have bright, beautiful flowers, they smell great, and they’re very effective at repelling mosquitos. 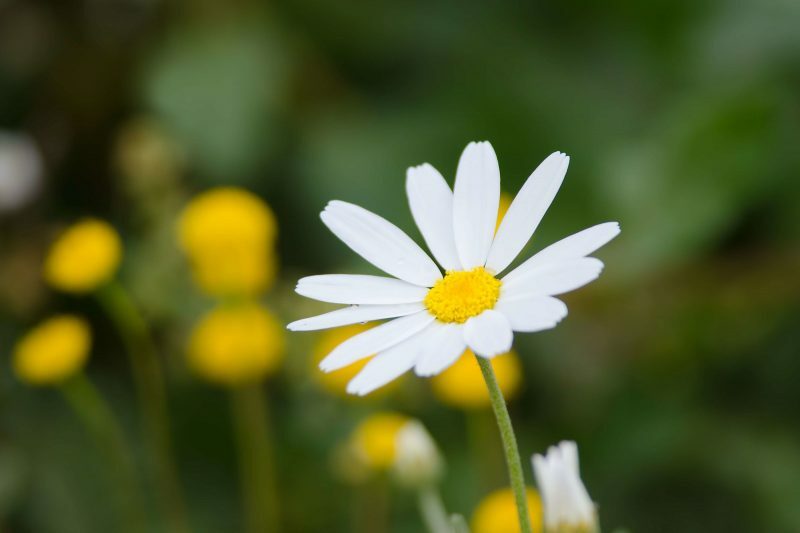 They contain Pyrethrum, a compound found in many insect repellents. 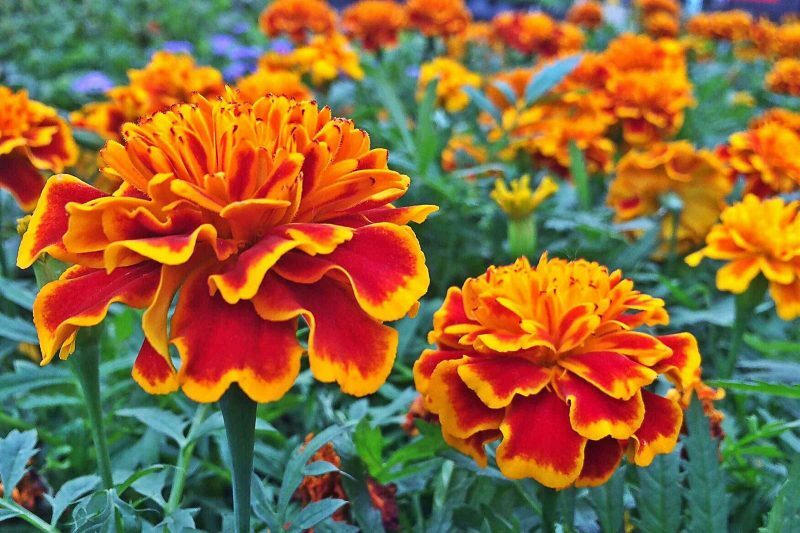 Plant marigolds (Calendula) in your garden, or in containers near your door to keep mosquitos out of the house. They also keep away many insects that eat tomato plants, so they are a great companion plant for your vegetable garden! Though this plant is commonly called the “citronella plant”, it’s actually a geranium (Pelargonium citrosum). It doesn’t contain actual citronella oil, but it does smell a bit like citronella when the leaves are crushed. It’s a hardy plant that grows well indoors or outdoors, in the ground, or in containers. It prefers at least 6 hours of sunlight but can tolerate shade if you want to grow it on a patio or other covered area. Citronella grass is a perennial clumping grass that grows about 5’ or 6’ tall. It can be planted directly in the ground or in large containers if you want to put it on your deck or patio. Citronella grass is the “real” citronella plant; it’s a species of lemongrass and it’s where citronella oil is harvested from. Look for the true varieties, which are Cymbopogon nardus and Cymbopogon winterianus; there are other plants marketed as “citronella scented” (like the “mosquito plant”) but they don’t have true citronella in them. Citronella oil is a common smell in mosquito repellent sprays and candles, but the nice thing about having the actual living plant in your yard is that you get the citronella smell without any additional chemicals. 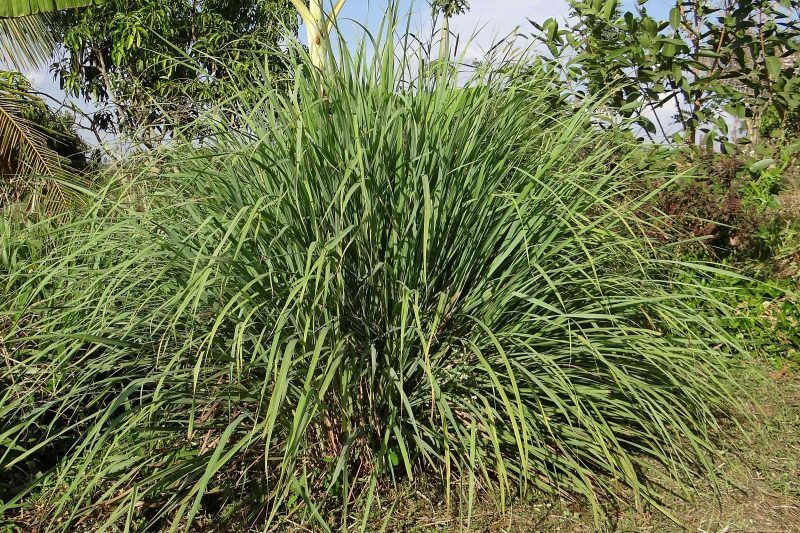 Though Citronella grass is the “real” citronella plant, lemongrass (Cymbopogon citratus) has insect-repelling properties as well. Lemongrass oil is very fragrant and is great for flavoring soups and seafood dishes, as well as repelling mosquitos. Catnip (Nepeta cataria) is a perennial in the catmint family. It grows readily as both a weed and a cultivated plant in the US. Just like most in the mint family, it’s a prolific grower and will take over your whole garden bed if you don’t keep it in check. It’s easier to grow it in pots so the roots are contained. Catnip is extremely effective at repelling mosquitos. It contains a chemical called nepetalactone which attracts cats and repels mosquitos. Studies show that catnip is 10 times more effective at repelling mosquitos than DEET! While catnip is the most famous of the catmint family (Nepeta), the other catmint varieties also repel mosquitos. Catmint is an easy-to-grow perennial that comes in a variety of heights and colors. They aren’t quite as enticing as catnip, but will still attract cats to your yard. 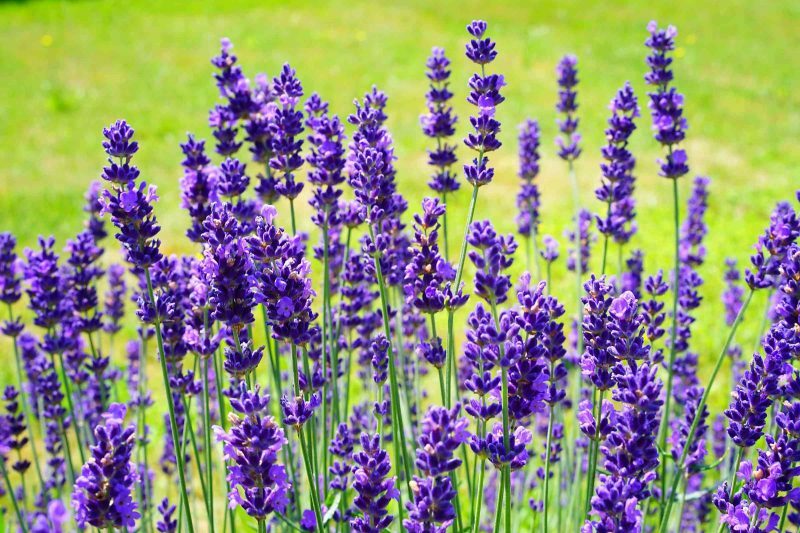 Lavender is a beautiful plant that smells great, but that same scent that we love is offensive to mosquitos, so they tend to steer clear. It can be planted in the ground or in containers. Bonus: the dried flowers can be put in your closet to help repel moths! Basil is an incredibly fragrant plant, and one of the only ones that doesn’t need to be crushed in order to release enough scent to repel mosquitos. Plus, basil is delicious, so it’s a great plant to have in your garden anyway! Basil can also be grown in pots indoors or outdoors. The essential oil from basil has been shown to be toxic to mosquito larvae, so besides keeping the adult mosquitos away, it’s also a great one to help control the rate of mosquito eggs being laid. Lemon balm (Melissa officinalis), also known as Horsemint, is a member of the mint family that smells like lemon with a hint of mint. Like all members of the mint family, it’s a prolific grower and easily reseeds itself so that it will grow back year after year. To keep it from taking over your garden bed, grow it in containers. 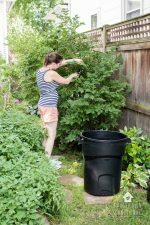 The scent of lemon balm repels mosquitos, but it also attracts pollinators like butterflies and bees, so it’s a great plant to have in your garden! Peppermint not only smells fresh and lovely, but it’s a natural insecticide! 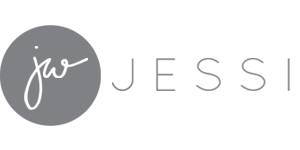 The scent repels adult mosquitos, and the essential oil will actually kill mosquito larvae within 24 hours of exposure. Peppermint is not as invasive as other members of the mint family, but it’s still a prolific grower, so plant it in a container if you don’t want it to take over your garden bed. Peppermint is also considered a deer-resistant plant, and has been shown to keep away mice and spiders, so it’s a great all-around plant for keeping critters in check! Rosemary is another fragrant plant that gardeners love to grow for its culinary uses, but it’s also an effective mosquito repellent! It works best if you burn the plant to release the scent in the smoke; the smoke smells great to us and masks our odors from mosquitos. The next time you gather around a fire outdoors, toss a handful of rosemary in to help keep the mosquitos away! 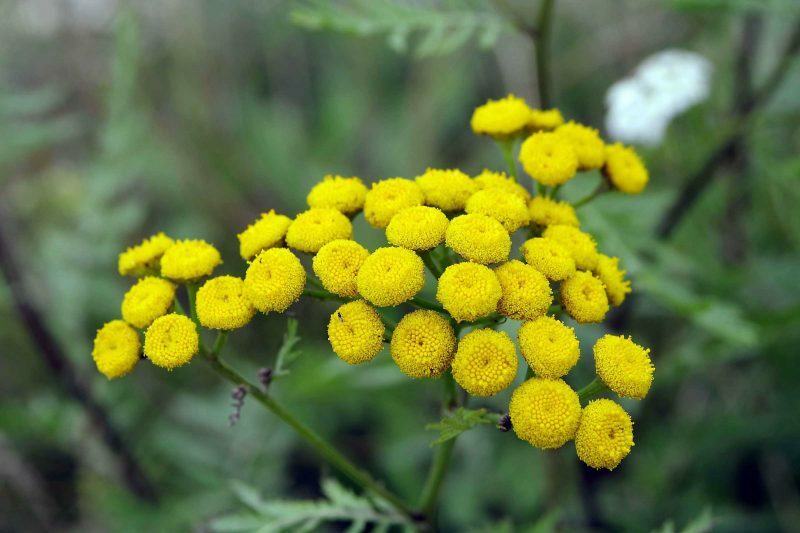 Tansy (Tanacetum vulgare) is a flowering perennial that is sometimes considered a weed because of how quickly it grows and spreads through its root system. The flowers are very pretty, but the plant can be toxic if ingested in large doses, so be sure to keep it contained and out of reach, especially if you have outdoor pets or livestock. However, the oil from tansy leaves makes a great homemade insect repellent, so if you can keep it out of the way of pets and children, it’s a great plant to have around! Steep dried leaves in 2 cups of hot water, then leave it steeping until the water cools down to room temperature. Strain the leaves, pour the water into a spray bottle, and spray on your skin and clothes to keep the mosquitos away! 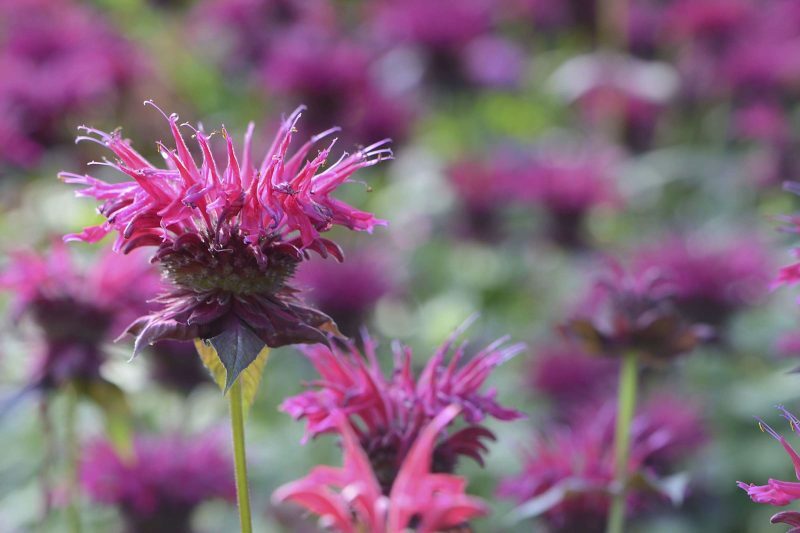 Bee balm (Monarda), also known as wild bergamot, is a beautiful flowering plant with a lovely scent that attracts bees, butterflies, and hummingbirds while repelling mosquitos. Some varieties can grow up to 4’ tall. It can be invasive once planted, so be sure to cut it back while it’s dormant, or plant it in a pot to keep it contained. The leaves and flowers can also be used to make a delicious tea! Pennyroyal (Mentha pulegium) is another member of the mint family that is an extremely effective natural mosquito repellent. 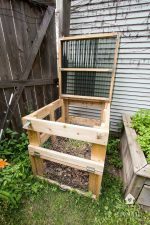 Plant it in your garden bed or in containers near your front door to discourage mosquitos from living in your yard, or keep crushed stems in your pocket to keep mosquitos away while you’re on the go. Like other members of the mint family, it’s suggested that you grow pennyroyal in containers to prevent it from taking over your garden. A word of warning: the live pennyroyal plant works great to repel mosquitos, but the essential oil is EXTREMELY strong and potentially dangerous. Thousands of years ago it was supposedly the go-to herb for terminating unwanted pregnancies, and, more recently, there have been accidental deaths of healthy adults and dogs from ingestion of pennyroyal. Pennyroyal is great for deterring pests in your garden, but please don’t ingest it! If you have young children or pets who may accidentally ingest it, you may want to consider planting another member of the mint family like peppermint or lemon balm to keep mosquitos away from your yard. The smell of garlic deters many garden pests (and some humans too!) Garlic is most effective as a mosquito repellent when the essential oil is rubbed on the skin, but if you don’t want to walk around smelling like garlic all day, growing the plant in your garden or in containers near your deck or patio can also help. Tea trees (Melaleuca) are easy to grow and thrive well in containers, so they are great for backyards. Tea tree oil is well known for its antibacterial, anti fungal, antiviral, and antiseptic properties, and is often used in household cleaners and first aid sprays. It is also a very effective mosquito repellent; just steep the leaves in hot water to create a homemade bug spray! Wormwood (Artemisia absinthium) is a perennial with silvery foliage. It’s too big to grow in containers, but it makes a beautiful border plant for your yard. It has a very pungent odor that repels mosquitos. The smell also deters deer, but butterflies love the floss flower for its nectar. Lemon thyme (Thymus citriodorus) is a fragrant herb that has a light, citrusy flavor and scent. It’s easy to grow and is delicious when used for cooking, so it’s a great addition to any herb garden. It can also be grown indoors in containers if you live somewhere with harsh winters. The live plant is not fragrant enough on its own to repel mosquitos, but if you crush the leaves to release the essential oils, it’s much more effective. By itself, lemon thyme is good for quick relief if you’re going to be outside briefly, but if you’re going to be outside for a while, lemon thyme is much more effective when combined with other scents such as eucalyptus or catnip. Lemon verbena (Aloysia citrodora), also known as lemon bee brush, has a strong lemony scent that will make your yard smell great! It grows best in warm climates and cannot survive cold winters outdoors, so if you live anywhere above Zone 8 (the southern fifth of the country) you’ll want to plant it in a large container so that you can bring it indoors for winter. It goes dormant over winter then sprouts new growth again in spring. If you grow it in containers, set them out on your patio or deck for a mosquito-free zone. Or if you live in a tropical zone, you can plant lemon verbena directly in the ground along a fence to create a border to keep mosquitos out. The Dalmatian chrysanthemum (Chrysanthemum cinerariifolium) is a flowering perennial that looks a lot like a common white daisy. They are often harvested as a natural insecticide because of the pyrethrin they contain; pyrethrins attack the nervous systems of insects and inhibit mosquitos from biting. The plants themselves have a mild insect repellent effect when planted, but the most effective method is to steep the dried flowers in hot water, put the water in a spray bottle, and use that as a homemade insect repellent. Eucalyptus is an Australian native with a strong scent that naturally repels mosquitos. It can grow up to 130 feet in tropical climates, or it grows great in containers in colder climates, and its scent can repel mosquitos, stable flies, sandflies, midges, ticks, and more. Eucalyptus trees were officially registered as an insecticide and miticide in the US in 1948, and eucalyptus oil is considered as effective as DEET, or more so! And as an added bonus, if you happen to get bit while using the oil, it has antibacterial properties and can help keep swelling down. The cadaga tree is a native of Australia, and as its name suggests, it’s a tree; it can grow up to 40 feet tall! It’s part of the eucalyptus family (Eucalyptus torelliana), and like other members of this family, it’s strong scent is very effective at repelling mosquitos and other biting insects. 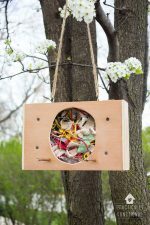 It is often planted in community areas to help keep the insects away. The scent of cloves (Syzygium aromaticum) repels many insects, not just mosquitos. The clove tree is a mid-size tree that can be grown in the ground or, in colder climates, in large containers so that it can be moved indoors during winter. If you don’t want to grow the plant, cloves that you buy from the store work as a mosquito repellent also. The incense cedar tree (Calocedrus decurrens) is a Western North-American native sometimes known as the California incense cedar. It’s a slow-growing tree with a spicy scent; they are easy to trim and shape so they’re great for providing shade and as a wind break. The strong scent is an effective insect repellent and it will deter mosquitos as well as wood boring insects. Also known as nodding wild onion (Allium cernuum), this easy-to-grow plant has soft pink nodding flowers and is very drought tolerant. All parts of the plant are edible, but it isn’t often used for cooking because of its strong flavors. However, the juices and oils in the plant are very effective at repelling mosquitos and other biting insects (and even moths!) The oils aren’t a skin irritant, so you can rub crushed leaves all over your skin to help keep mosquitos away. Pineapple weed (Matricaria discoidea) is also known as wild chamomile, and has a sweet smell when the leaves are crushed. It’s a hardy weed that grows well in poor, compacted soils, so it’s a common sight in rocky soil around buildings and driveways or area where vehicles are parked. The plant is edible and the buds can be used in salads or to make tea, though the leaves are slightly bitter so be careful with them. It’s most effective as a mosquito repellent when the leaves are crushed and rubbed on your skin. 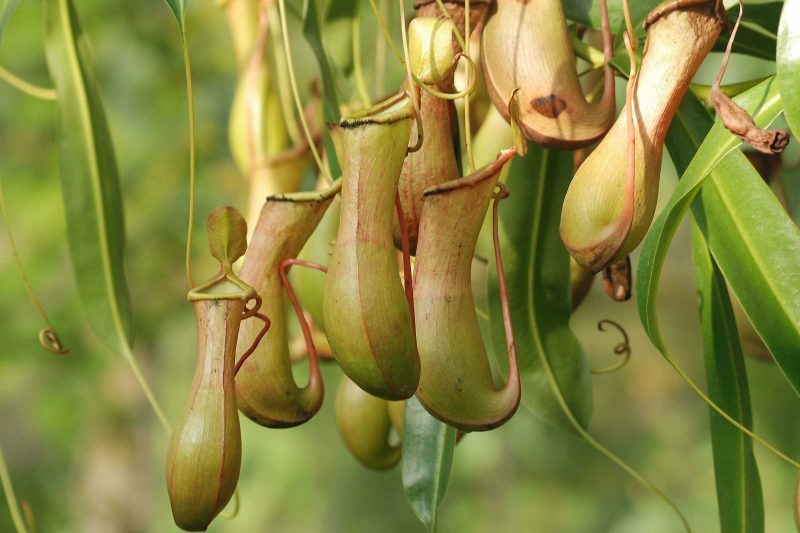 The pitcher plant (Nepenthes alata) doesn’t actually repel mosquitos as much as it eats them! It’s a carnivorous plant with a sweet smell that attracts mosquitos and other insects, then gobbles them up. The plant likes sandy soil and lots of sunlight, but after it’s established it is self-fertilizing and will do best if left alone. So plant it in your yard, enjoy the gorgeous blooms, and let it do its job! Snowbrush (Ceanothus velutinus) is a member of the Buckthorn family and native to the western United States. It’s considered a weed in many areas, but it has clusters of fragrant white flowers that will help keep mosquitos away from your yard. The foliage is fragrant too, so oils from the entire plant can be used as a mosquito deterrent. Sweet fern (Comptonia peregrina) is a small shrub whose leaves have a sweet smell, hence the name. The scent of the plant can deter mosquitos, but for an even more effective mosquito repellent, toss a few leaves into the fire and let the scented smoke drive the mosquitos away. Or you can dry the leaves and tie them up into a tight bundle, then set the bundle on a non-flammable surface and light one edge on fire. It should burn slowly and steadily, releasing fragrant smoke that will keep the mosquitos away. Vanilla leaf (Achlys triphella) was often used by native tribes as an insect repellent, and it gets its name from its vanilla aroma. Unfortunately, even though it grows well in its native habitat along the northwestern Pacific coast, it isn’t easy to cultivate in a garden. However, if you can harvest the leaves from the plant in its native setting, you can crush the fresh leaves and rub them on your skin to keep mosquitos away, or you can bundle dried leaves into a smudge stick and light it on fire to release aromatic smoke that will repel mosquitos. Just like other members of the mint family, stone root (Collinsonia canadensis) is a prolific grower, and the blooms have a light lemony scent. The leaves can be crushed and rubbed on your skin, or the dried leaves can be steeped in hot water, strained, and then the water can be poured into a spray bottle and used as a homemade mosquito repellent. 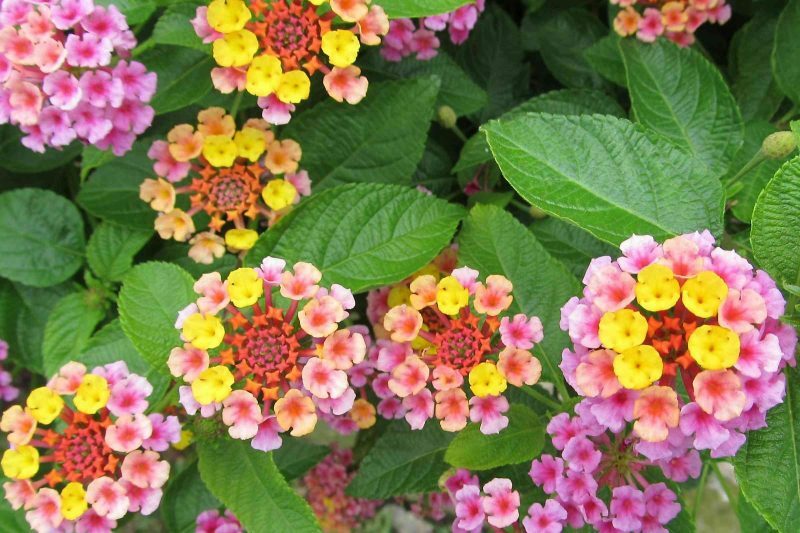 Lantana is a genus of plants in the verbena family that contains about 150 species of really pretty, flowering perennials. The most common in the US is Spanish flag lantana (Lantana camara), and it’s actually considered an invasive species in most countries other than its native Central and South America. The plant can be toxic if ingested, so take care if you have outdoor pets or livestock. But the leaves have been shown to have antimicrobial, fungicidal, and insecticidal properties, and they make a great mosquito repellent. They can repel mosquitos without having to crush the leaves; just having the plant in your garden or near your patio or deck will make it a mosquito-free zone! The oil from lantana leaves can irritate your skin, so it’s best to just leave the plants alone and let them repel mosquitos on their own. Feverfew (Tanacetum parthenium) has been used medicinally for centuries, for everything from migraines to joint pain and rheumatism. It is also an effective mosquito repellent because of its strong fragrance. US Organic mosquito repellent spray: this herbal insect repellent is made in the USA and smells wonderful, plus it’s extremely effective. 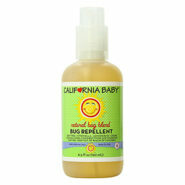 California Baby Natural Bug Blend bug repellent: this insect repellent spray is made with citronella, lemongrass, and cedar essential oils and is very gentle on your skin. It’s safe for babies older than 6 months and is great for anyone with sensitive skin. 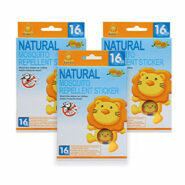 Simba Natural mosquito repellent stickers: these stickers are great for keeping mosquitos away without any sprays or lotions. Just stick them on backpacks, hats, or clothing to form a mosquito-free zone! 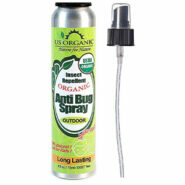 US Organic Mosquito Repellent Anti Bug Outdoor Pump Spray, 4 oz. This is one of the best articles I have read this year. So timely as I am still planning my garden. 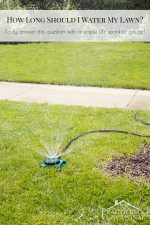 Do you have a similar list for plants to repel wasps and hornets. I am allergic and that tends to keep me out of the garden! I know they are useful but want to avoid stings! Oh no, bee allergies are the worst! I don’t have a list of plants that keep wasps and hornets at bay, but I’m sure someone does somewhere! I’d try searching on Pinterest or Google and see if you come up with anything. Good luck! Thank you for this great information, I had bought stone root (AKA Horse balm) , do the leaves need to be harvested while in flower to use as repellent? The leaves aren’t very fragrant. I’ll have to test this out and see which works better, this or lemon balm (Melissa Officianalis). Personally I love the lemon balm; it works great and I like the smell! For the horse balm it shouldn’t matter whether the flowers have bloomed or not.